Hi, I’m Eresin and I’m a long time World of Warcraft player, and I’m also a new mum. My son (we’ll call him J) is 19 weeks old and utterly adorable, of course I would say that. Naturally my WoW time has taken a spectacular nose dive in comparison to pre-baby days. 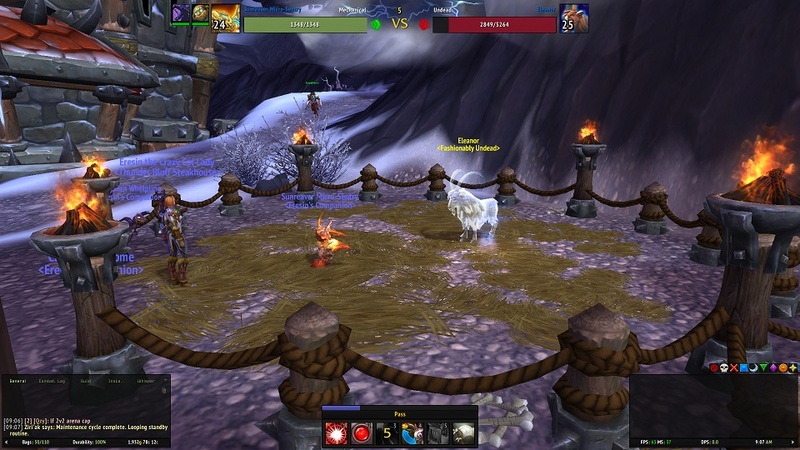 My baby was due on December 2nd 2014 and the Warlords of Draenor expansion was released on November 13th 2014. I spent the start of my maternity leave furiously levelling and seeing as much content as I could before my life would disappear into a world of nappies and baby puke, which happened on November 28th. 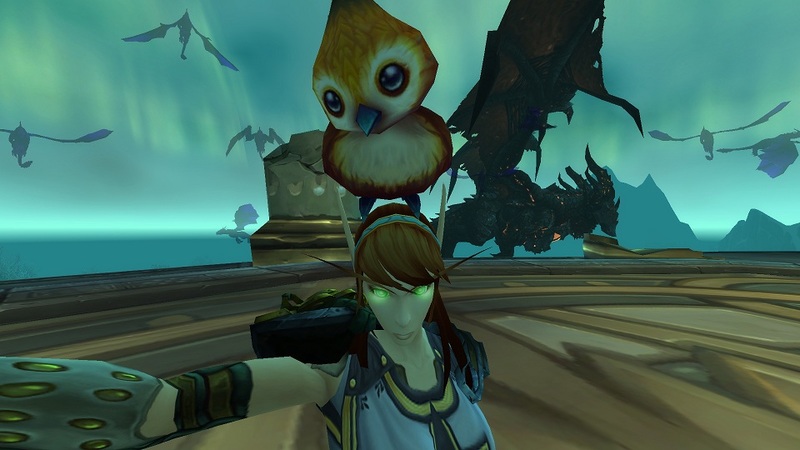 Along with being an altoholic I am also a collector of all things mounts and pets, and when I have the time (HAHA!) toys, music scrolls and achievements too. 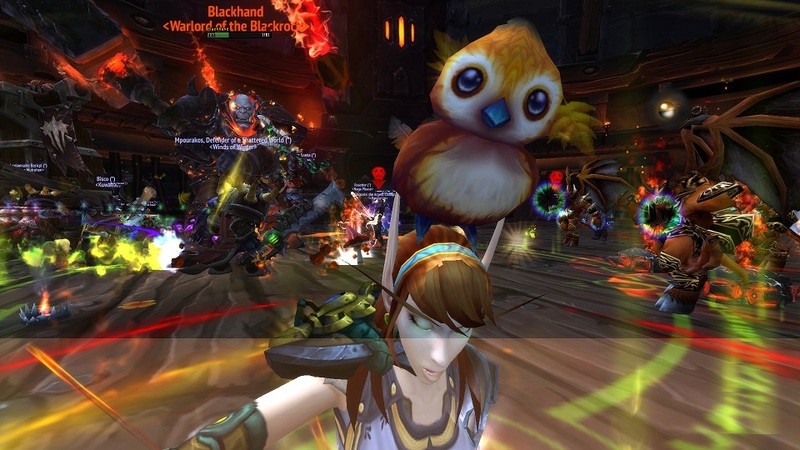 LFR is the route I go for raiding, I simply don’t have the time or life routine for a raiding guild. I have a weekly checklist of various mounts I go hunting for, namely going back to solo Onyxia, Eye of Eternity, Icecrown, Ulduar, Firelands, Dragon Soul etc for their mounts and now back to running Black Temple and others for the new Raiding With Leashes III achievement. I enjoy pet battling though generally only in PvE environments rather than PvP, currently sitting at 30 max level battle pets. I just love me some pet battles! I am currently all up to date with the legendary questline on my main which means I now have a bit of extra time to spend levelling those alts since I no longer have to jump into LFR. At this point in time my plan is to get all characters up to 100 and make them raidable in LFR and let them see the content at least once. I’m not actively pursuing the legendary on those characters. So what have I been up to this past week? Well I started doing the Dragon Soul raid to try and get the Experiment 12-B mount a few weeks ago and found I had problems with the Spine of Deathwing. I should note I was trying on Heroic mode in the hope that this gave me a better chance of the mounts dropping. Turns out Heroic Spine is just silly so I went back in on normal mode and after a an embarrassing number of wipes I looked up solo Spine tactics on YouTube, went back in and nailed the bugger. It’s not so much hard as just tedious. 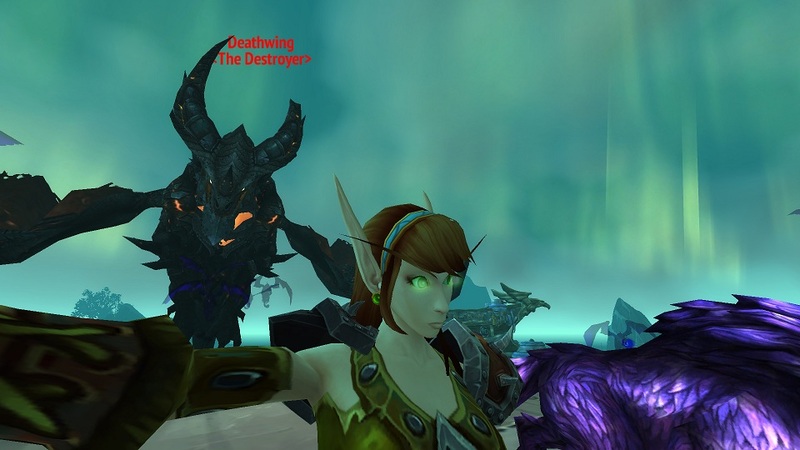 I then went on to solo Deathwing for the first time and felt pretty darn great about it. No mounts but at least I know I can go in and do that on a weekly basis now. For the time being the mount from Heroic Deathwing will stay out of reach but I will still have a shot at normal mode mount. 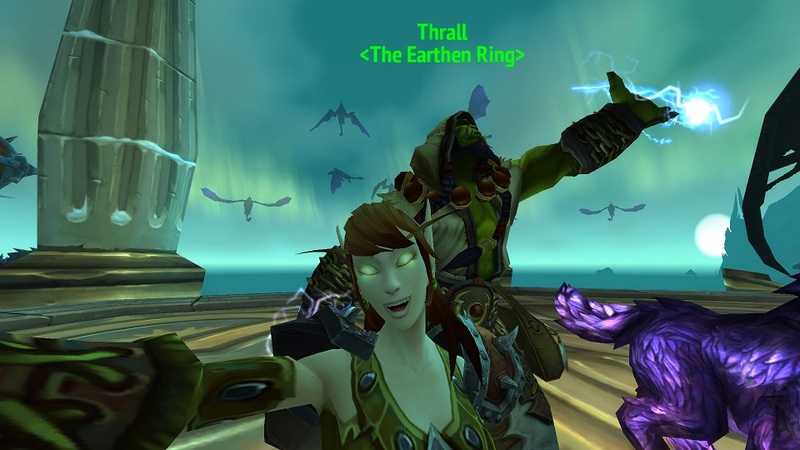 Here is a few pics of me with the whole gang, Thrall, Mr DW and Alextrasza’s midriff, which quite frankly is the best bit of her whole body. 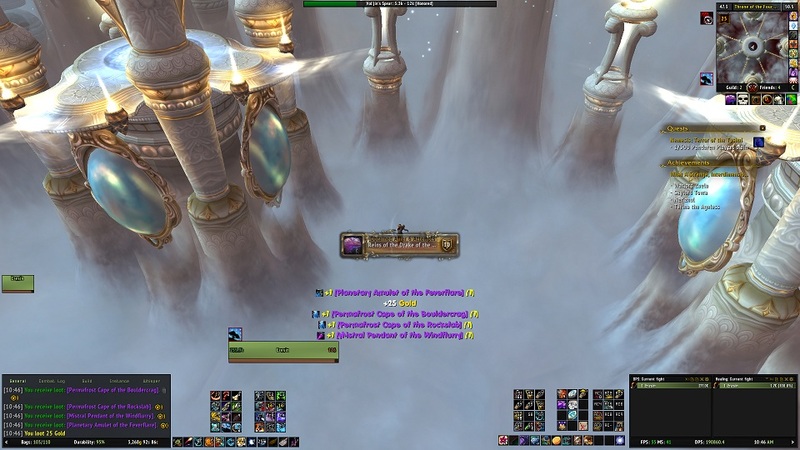 To add to my pleasure, Al’Akir in Throne of the Four Winds dropped the Reins of the Drake of the South Wind mount after only 5 attempts. 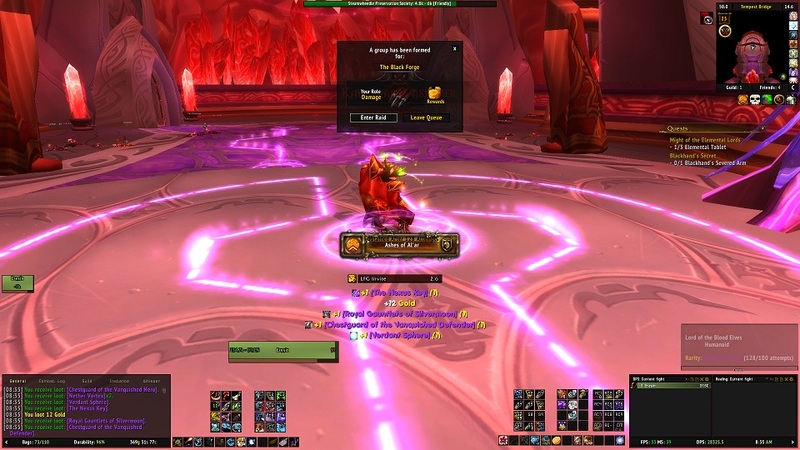 A week or two before all this I finally got my hands on the Ashes of Al’ar after about 128 attempts, possibly more. I installed an addon called Collectinator which tracks your attempts but I have no idea if it retroactively checks your attempts so the number could be much higher. If you are interested in expanding your collection of mounts I can highly recommend a website Simple Armory. Here is a link to my mount collection. As you can see they nicely break it down by expansion and then by method of obtaining the mount. I love how it displays everything and find it much easier than looking through the mount list in-game. Simple Armory also does this for battle pets and will even indicate what rarity you own. I have never been one for transmogrification, but I was browsing the subreddit and came across a nice transmog set on a hunter, most of which which I can get from Ulduar, so I plan to pick that up during my Mimiron’s Head runs. Silly to think I have probably looted all these items countless times and vendored them without even looking at them. 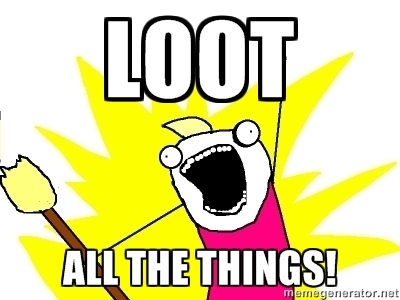 You can make so much gold from these old raids, LOOT ALL THE THINGS! 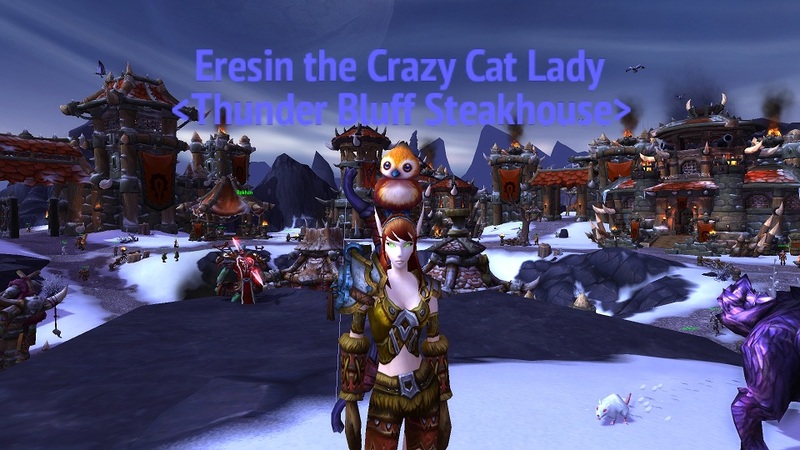 Also been taking Pepe on his Draenor tour to try and get Perma-Pepe. Having too much fun with the S.E.L.F.I.E. Camera so will no doubt pick up on that achievement before too long.